At American Legal Investigations & Support Services (ALIASS), we provide private investigation, process service and other legal support services for legal, insurance, government and commercial clients. 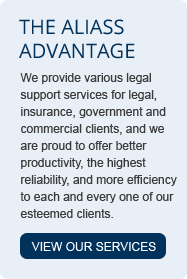 But we aren’t just another legal support services company – our agency is designed to offer better productivity, the highest reliability, and more efficiency to each and every one of our esteemed clients. We are your premier legal support services partner. 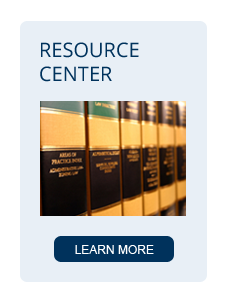 Visit our legal support services to learn about the standard services we provide. Don’t see what you need? 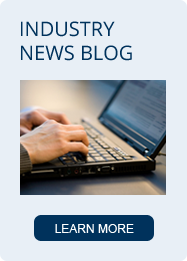 Let us know, we are trained to provide a variety of unique legal support services as well! Our first priority is our customer support – that’s why we have adopted tailored service packages to meet your every need. We strive to be your one-stop legal services support team by providing seamless support for whichever combination of services creates the maximum value for you. Call us to take advantage of our Worry-Free Guarantee – It only takes one case to experience the ALIASS Advantage!